A career in hospitality is fun, sociable and rewarding. This dynamic and exciting industry offers a plethora of opportunities for career progression, as well as the opportunity to meet new people and make life-long friends. But choosing the right employer can make or break your hospitality experience. At Redcape Hotel Group we’re committed to providing all staff with opportunities to grow and excel in their careers. 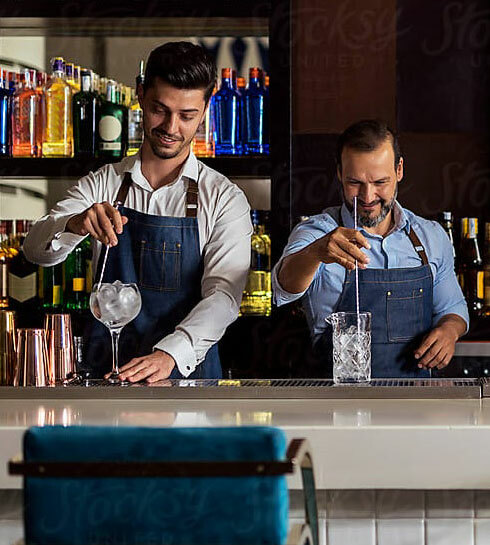 We recognise that attracting and retaining the best of the best in the hospitality industry, enables us to deliver exceptional hospitality experiences for our customers. It’s for this reason that we invest in training, openly discuss career progression opportunities with staff, and also provide work environments across our portfolio that enable all staff to thrive, excel and find fulfillment in their jobs. Happy staff equals happy customers. And happy customers equal a thriving and successful business. It’s this model that forms the basis of how we operate at Redcape Hotel Group. In order to ensure each and every member of our 700+ strong employee base feels part of the Redcape Hotel Group family, and the ongoing evolution of our Group as a whole, we offer over 200 training programmes to staff. Everyone from front-of-house staff, through to managers, are empowered and encouraged to grow their careers with Redcape Hotel Group. In fact, many of our senior leadership team have grown their own careers with us, starting in junior and mid-level roles and progressing to the business leaders they are today. Read some of our Success Stories. Our people-first vision transcends across all levels of our business, and accordingly our staff are encouraged to support each other and work as a strong, unified team. We believe in transparency, and through regular staff engagement, we ensure staff are not only fulfilled day-to-day in their roles and responsibilities, but are also working towards and meeting their own personal career goals. Furthermore, our senior leadership team are committed to continuously improving the business and have an open-door policy when it comes to feedback and suggestions. A career with Redcape Hotel Group is not a stopgap on your CV. We promise to offer a diverse and rewarding role, with clear opportunities for growth and empowerment. We would love to hear from you if you are interested in joining the team. Please send your resume through the form at the bottom of this page.